Cartridge case design has so far changed much less than projectiles. Despite the practical advantages of the cartridge case it has always been regarded as something of a nuisance by weapon designers. It adds greatly to the weight of ammunition and complicates weapon design because of the need for mechanisms to extract and eject the fired case from the gun. Other types of cartridge case have occasionally been tried, many of them making use of modern plastics. Attempts to produce entirely plastic versions of conventional cartridges have not worked, because in most guns the head of the case is unsupported, with the rim and extractor groove protruding from the chamber to enable the extractor claw to hook on. The problem with plastic as a case material is that it cannot withstand the pressures and temperatures associated with high-pressure cartridges without being totally supported by the chamber. Conventional cartridge shapes using plastic therefore need composite construction, with metal head, shoulder and neck. 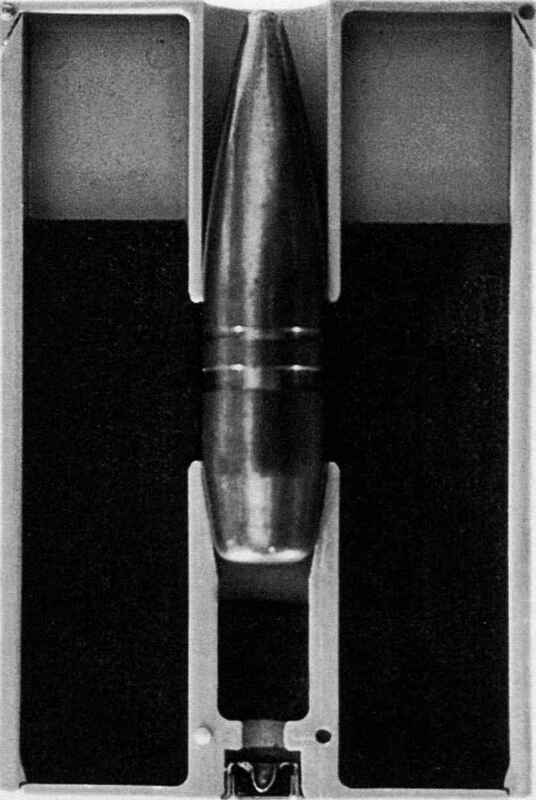 Composite cartridges in 20 x 102 have been made experimentally; they work in the M61 (which handles ammunition quite gently) but are not strong enough for use in the M39 (which gives them much rougher treatment). For all-plastic cases to work, a different approach to gun and cartridge design is required. 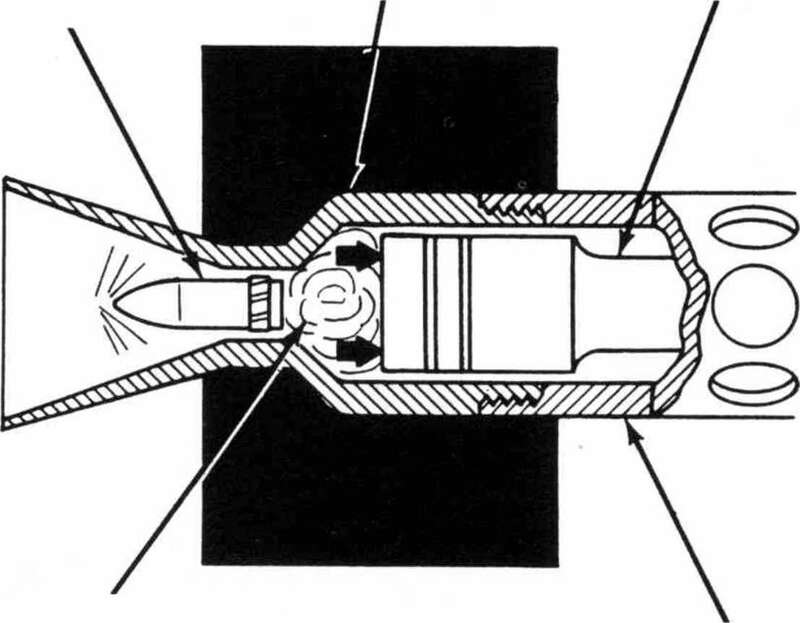 One of the most radical was the Dardick Tround, a plastic case of triangular cross-section in which the primer, propellant and projectile were completely buried. It was intended for a radical form of revolver gun in which the chambers were open on one side, permitting a simpler loading system, although the cartridge was obviously firmly supported at the instant of firing. Small-arms versions saw limited commercial production, but 12.7mm and larger military versions, although extensively tested (the US Navy has been carrying out trials of a 25mm version), have so far not been adopted. clearly necessary to ensure that the projectile is on sure sleeve before firing. The benefits in terms of its way and providing a gas-tight seal in the barrel compactness are illustrated by the dimensions of before the gun gas can escape past it. This has been achieved in some designs (e.g. the Hughes Lockless) by using a two-stage propellant: a small charge the 30mm cartridge: just 158mm long by 78mm wide and 35mm thick. lowed by ignition of the main charge. This two-stage ignition has the advantage that much more compact round but clearly enforcing firing the first charge creates space behind the pro- some interesting new concepts in loading and jectile in which the main charge can expand. 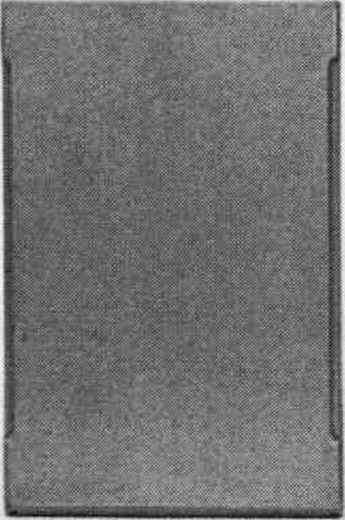 This enables compressed propellant to be used (in a normal cartridge, there are air spaces between the propellant grains), permitting a dramatic reduction in case volume. This can be judged by comparing the size of the ARES TARG (telescoped ammunition revolver gun), which used plastic-cased telescoped ammunition, with the Tround or the conventional 12.7 x 99. The gas-operated TARG was claimed to weigh only 20.4kg yet have the potential to achieve up to 2,000 rpm, while the cylindrical 12.7 x 88 cartridge had a muzzle velocity of 900 m/s. extracting the ammunition. Despite the fact that many of these unusual designs have shown promising performance on test, none of them has so far achieved any production success. However, the cased telescopic principle might at last be on the way towards service use (at some point in the future) as a result of the COMVAT studies described below. 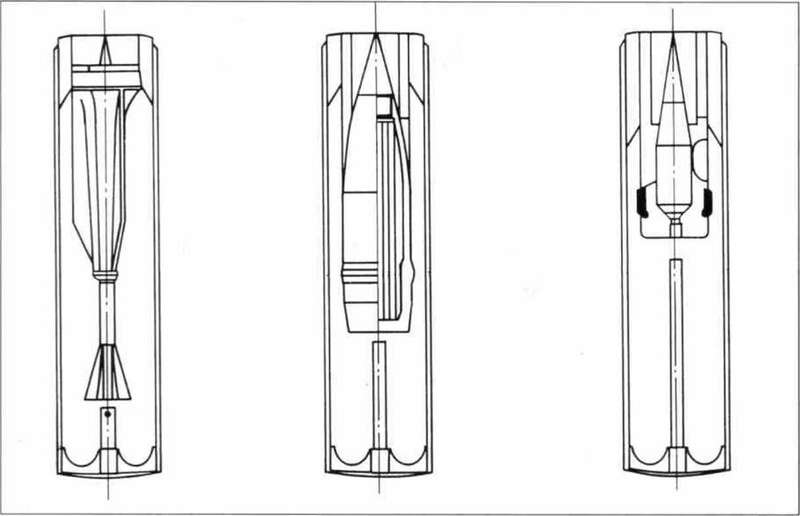 It is worth pointing out that the cased telescopic concept does not depend on new case materials; the 50 x 330 'Supershot' round for the Rh 503 AFV gun (now being developed by Boeing as the Bushmaster III), in which the projectiles are almost entirely buried within the case, uses a conventional steel case.